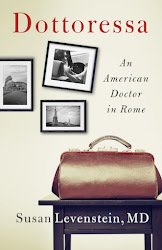 A version of the Epilogue of my upcoming book, Dottoressa: An American Doctor in Rome, has been published by The Local, an excellent online magazine that describes itself as "the largest English-language news network in Europe." Non-subscribers are supposed to be able to access my article free, hassle-free – if anyone has any trouble doing so, please let me know right away and I will post the entire text here at Stethoscope!!! "Levenstein’s anecdotal memoir — set for release in May — steers clear of the colonialist trope in which life among “friendly Italian natives” brings emotional and sensual liberation to the hidebound foreigner. Levenstein pulls back from that stereotypical brink by infusing her odyssey with warmth, depth and intellectual curiosity . . . as non-judgmental as it is intellectually acute. She also extracts deeper lessons and delivers insights into how societies and individuals heal and live. These come with laugh-aloud examples that deftly trace 50 years of changes . . .
"These days, hundreds of policy papers and newspaper editorials regularly debate competing claims of medical efficiency, patient care, cost-containment, and expanding reach. But none do so with Levenstein’s humor and sensitivity to the human condition. And they certainly don’t make it fun — never mind being able to set the story in the Eternal City." Italy’s fashion and restaurants belong in the First World, its bureaucracy in what was once called the Second World, its garbage collection—at least in Rome—squarely in the Third. In healthcare the dominant model is mixed: free but slightly shabby health care for all, and a private sector providing a luxury dusting of sugar on top. A private doc is expected to hear you out, sift through your records, lay on hands, assign a diagnostic label, and prescribe a pageful of remedies. In short, enhance not just your health but your self-worth. At your National Health Service GP’s office you may stand in the hall two hours marking time; in a private waiting room you’ll be leafing through art books in a Le Corbusier chair. I’ve had feet in both tracks of the system: the underfunded public side for doing research, and the flush private world for seeing patients. I caught on fast that being a leftist wouldn’t save me from the siren call of private medicine’s petty corruptions. When business is slow, economic self-interest can nudge you to bring the patient back in two weeks rather than four and to do an ECG that in a busier moment you might have skipped. When the schedule is packed you can be tempted to start cutting corners in your thoroughness, vigilance, and attention to detail. And however much you despise yourself for it, you treat Very Important Patients with kid gloves. Private medicine has always been bigger in southern Italy than in the North, where the public system works. Back in the 1980s, the golden days of free spending, people would check into Rome’s private hospitals or cliniche for week-long tune-ups. 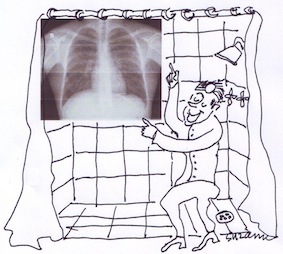 Those posh wards were packed with healthy, wealthy Romans enjoying prods, needle sticks, and x-rays. Italian private medicine began to suffer in the 1990s, when the Clean Hands political corruption investigation shriveled the supply of illicit cash. Since then, the cliniche have struggled to fill their beds. Even if there weren’t a perennial economic crisis, there’s Europe and a steadily improving Italian National Health Service: why should you pay to stay in a private hospital when you can have world-class surgery at a public one, here or elsewhere in the European Union, for free? Some private hospitals have fought back by making deals with the National Health Service, so public funds will cover the room and the operating suite while the patient pays the surgeon and the anesthesiologist. Others keep afloat by stiffing their medical staff. Squeezed by an economic climate that leaves half their beds empty but eager to improve their competitive edge, some of Rome’s cliniche have plunged ahead with expensive renovation schemes despite a shortfall in ready cash, making up the difference by pocketing the money sent by insurance companies to cover doctors’ fees. At this moment I’ve been waiting a year and a half to get €550 for one patient’s brief hospitalization; a surgeon friend claims he’s owed €150,000. But then nearly everybody scrambles to cobble together a living here, though watching the elegant figures parade down Rome streets you’d never know it. While I was building up my practice, funding my office rent by doing medical translations, I used to wait eight or ten months to be paid; my tax refund for 1987 came through in 1992. My musician husband may get his concert fee the same night, a year later, or never. Even a permanent full-time civil service job can’t be counted on for a steady income if, as I write, one of the public hospital docs in my office hasn’t been paid for six months. Thank heavens for the long-suffering Italian family, a surefire backup system guaranteed to ward off starvation. My husband and I took a stroll the other day to the Palazzo Merulana, a new museum housing the Cerasi family’s collection of Fascist-period Italian art. We entered the elevator along with a well-dressed Italian who pressed “2.” We then pressed “4,” on the chance the museum might have installed a modern elevator, the kind that can keep several destinations in its brain at once. The commoner old-fashioned Italian kind, such as the rickety cage that carries us up the five floors to our own apartment, has to be spoon-fed one stop at a time. Strike three was awaiting me at home, in the form of a friend’s Facebook post about the latest Roman scandal. In 2011 a landowner had paid off a €55,000,000 debt to City Hall by handing over, it was reported at the time, 200 kilometers of precious nickel wire packed into a bundle. This treasure has been sitting in a vault in City Hall ever since, under the watchful 24/7 gaze of armed guards hired for the task. Until a few months ago when city officials, tipped off about a fraud by the same characters in northern Italy, opened the vault and determined that whatever it is that’s rolled up in that stash it’s worth nowhere near what was claimed – maybe €20,000 at the most. Less, I’d guess, than what they’ve been paying every month to those rent-a-cops. The heights of fantasy in the depths of financial scams. I love Italy. 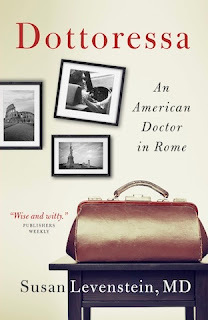 I am pleased (and, frankly, just a mite proud) to let you know that a brief extract from chapter 16 of my upcoming memoir – Dottoressa: An American Doctor In Rome – has been published, as “Endings, Beginnings,” in the Perspective section of The New England Journal of Medicine, which is generally considered the world’s top medical publication. This piece, which is mainly about the impact of one death on my medical practice, can be accessed free online by everyone. It's much more sober than most of the writing that you’ve been used to, pretty heavy in fact… I hope you’ll appreciate it anyway. To my amazement, it’s been read by about 5000 people so far, not counting subscribers who received a paper copy in the mail! The book itself now has a scheduled publication date, May 21st, less than three months away, and it can already be preordered in the States either through my publisher or at Amazon, and in Italy or elsewhere at Book Depository, who offer free shipping worldwide. Consider passing the word. 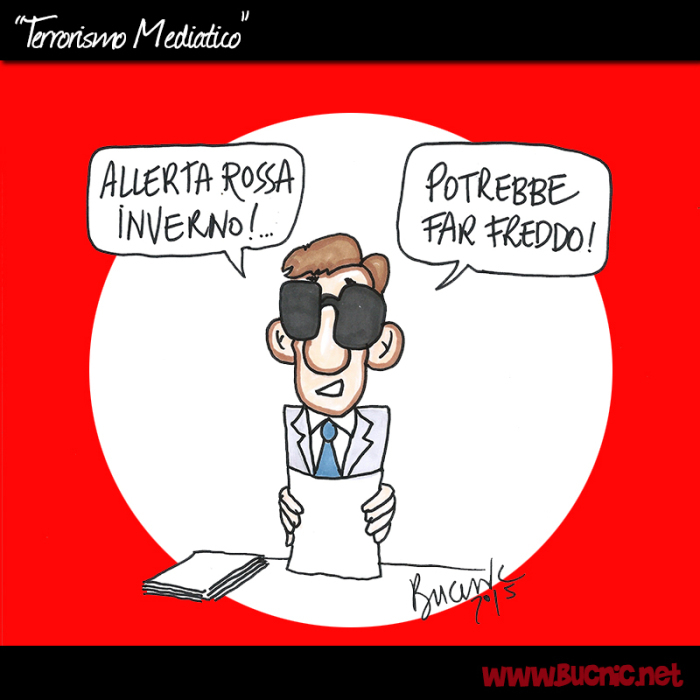 The same Italian government dreamers who brought us the Great Leap Forward in medical education I talked about in my last post – the ones who suggested that the doors of medical school be opened to all comers and that postgraduate education become optional – are running a new idea up the flagpole, this time for teachers. Five Star policy wonks have come up with the idea of offering them Continuing Education classes in a new field: exorcism. Yes, the Five-Star Movement’s Minister of Education is allowing educators to earn points valid for higher pay and promotions by taking 40-hour courses, taught by priest expert in the casting out of demons. Any teacher willing to shell out €400 ($452) can now learn both the theory and the “correct practice” of prayers that might be useful at least, one hopes, to keep a few little devils in their seats. But why stop at teachers? Doctors would surely be even better students of the White Arts. There’s always been a subset of Italian psychiatrists who boast of being able to tell which patients’ bizarre behavior is from mental illness and which is the handiwork of Satan. Until now they’ve had to hand over the possessed variety to priests for the performance of demon amputation. Perhaps in the future my colleagues and I will be able to graduate from mere diagnosis to treatment while fulfilling our Continuing Medical Education requirements, by learning to chant for ourselves the proper invocations against the cursed dragon and his diabolical legions. You can already earn Continuing Medical Education credits in Italy by studying contract bridge. A practical class in the treatment of demonic possession wouldn’t be much of a stretch. By the way, this mishegoss is not special to Italy. 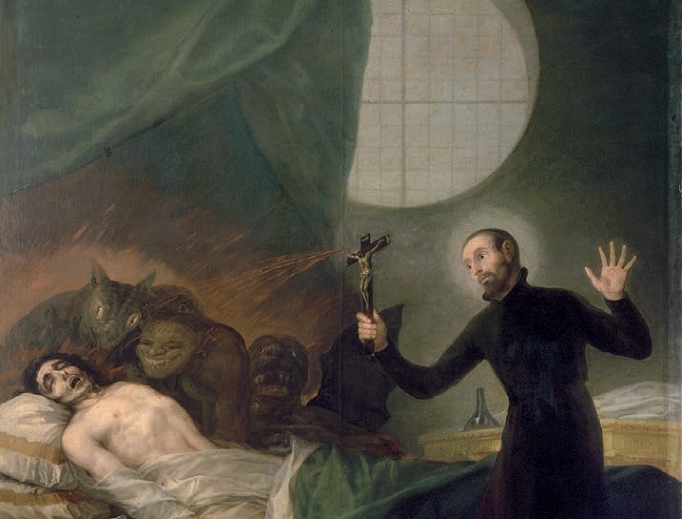 According to an in-depth Atlantic article just two months ago, half of Americans believe in demonic possession, and the exorcism business is booming. When I first moved to Italy, any high school graduate who thought they might like to be a doctor had the right to give medical school a whirl. Because of this open admissions policy, ten times more physicians were churned out each year than the country needed. 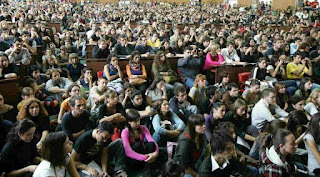 And because there was no way those hordes of students could get individual attention from their teachers, and far too few bodies for them to learn on, you could graduate from med school without having ever touched a patient. Literally. Italian medical training was so notorious that when the European Union started recognizing degrees and specializations across borders, Italy risked being the only country excluded. The threat of that humiliation goaded Italy to begin a minor revolution. By the turn of the century a system of selection for medical school had been introduced (based on a multiple-choice test), freshman classes had been slashed by 90%, and students were starting to be taught at patient bedsides instead of only from books. Italian medical training was making giant strides toward joining the rest of Europe. Now, twenty years after Italian doctors began their Long March from laughingstocks to world-class clinicians, the Italian Health Minister, Giulia Grillo—a physician previously known mainly for waffling on the need for vaccination—has been crusading to turn back the clock by bringing back open admissions for medical school. No more tests. No more selection process. Anybody who made it through high school would again be welcome. Come one, come all! 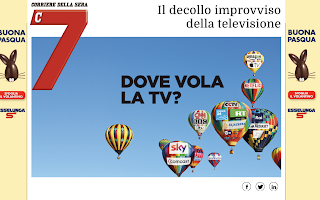 Dr. Grillo, from the Five-Star Movement, has even added a sour cherry on top: the downgrading of postgraduate training. 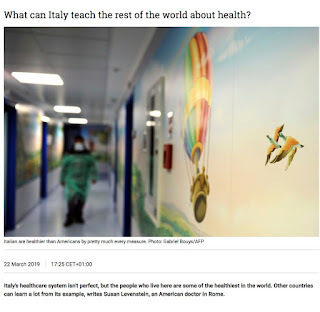 She points out, correctly, that due to sloppy planning Italy has gone from too many prospective General Practitioners to too few, and trains far too few specialists in emergency medicine to keep hospital Emergency Rooms properly staffed. Her proposed solution? Stop requiring docs hired for those jobs to have any residency training. Instead, she says, hospitals should be able to employ anybody with experience, such as night coverage (Guardia Medica) on the National Health Service, assuming they’ll have picked up their trade by osmosis. Even worse, she’s suggested maybe those ER docs and GPs could be hired fresh out of medical school. Anywhere in the world that would be a mistake, given the complexity of modern medicine, but in Italy—where medical school is still relatively weak on the practical—it would be madness. Already many young Italian medical graduates flee the country, headed for nations where they expect superior specialty training, higher stipends, and eventually a better chance at real jobs. And already Italian specialty training is uneven, turning out specialists whose levels of competence range from superb to iffy. If even that spotty training is turned into an optional, with self-taught doctors handling heart attacks and accident victims . . . poor Italy! Pardon my rant. I’ve never been good at buddhistic acceptance, and the coronation of Donald Trump reset my indignation threshhold even lower. 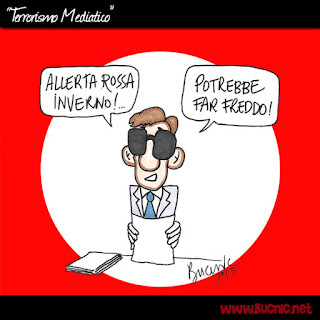 By now even a considerably less dangerous Italian Minister of Health can trigger it. P. S. The picture of a medical school lecture hall at the top of this post was from 2014, when the admission process was highly selective. Imagine how packed those halls used to be when ten times as many students were enrolled, and how they will be again if Dr. Grillo gets her way. 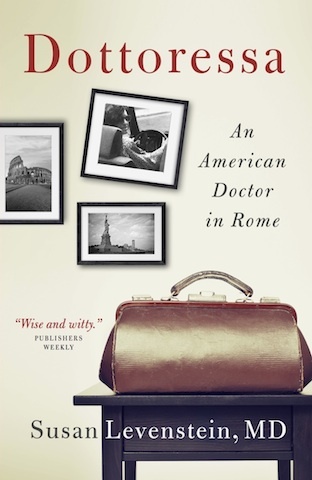 I enjoyed answering Claudia Landini's queries about Dottoressa: An American Doctor in Rome, the book that, as you know, is coming out in just four months. 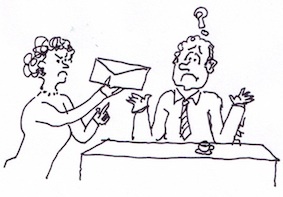 You might like to check out her super questions and my attempts at answering them at her website, ExpatClic. After moving to Rome it didn’t take me long to figure out that my friends’ grandparents had all been either peasants or aristocrats, and that for the latter classes a doctor was expected, if illness struck, to come when called. Like in the 19th century, when they used the back entrance – the doctor was a tradesman, like a carpenter only cheaper. Read some short stories by Chekhov, whose day job was General Practitioner, and you’ll get the idea. Once in the ‘90s, over dinner at an oak table on the high-ceiling piano nobile of a baroque palace, under an oil portrait of my hostess’s granddad, a new acquaintance tossed a spanner in the works of a previously pleasant conversation: “Do you make house calls?” Which led to twenty minutes of shifting uneasily in my seat while my highborn tablemates complained about how difficult it is nowadays to find a doctor willing to come to your place when you have a sore throat. I hear house calls have been making a small comeback in the States. They never went out here, though as the years have passed and I have reached do-not-disturb maturity fewer patients expect me to make one personally. 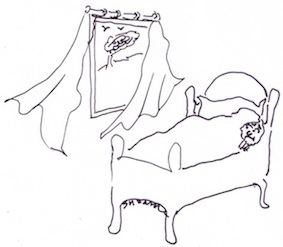 One benefit is that setting up an elaborate sickroom in the home is a breeze. Laboratories are happy to send around a technician to draw blood, you can enlist your aunt or your portiere to give injections, some young doc will be willing to come and hang an intravenous drip if one is needed, and a radiologist will trot in with marvelous briefcases that open out into x-ray machines – in pre-digital days, they’d hang up the films over the bathtub to dry.